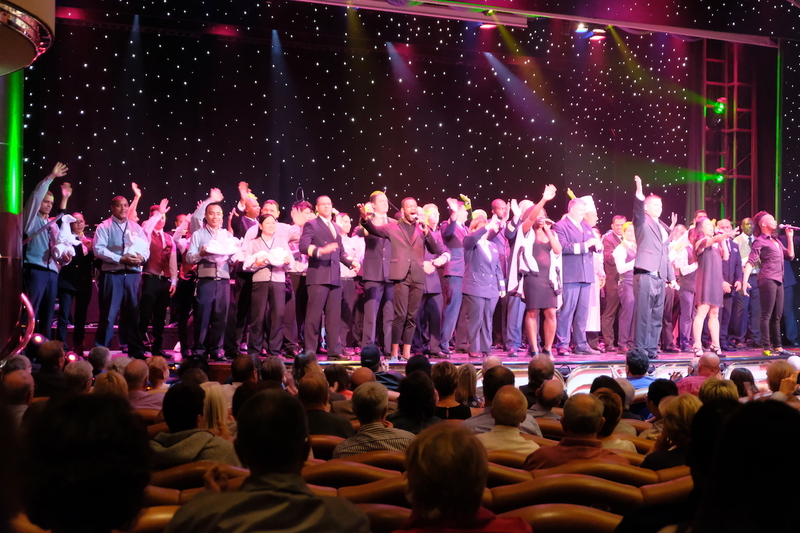 A year ago, we embarked on yet another journey of a lifetime with Royal Caribbean. 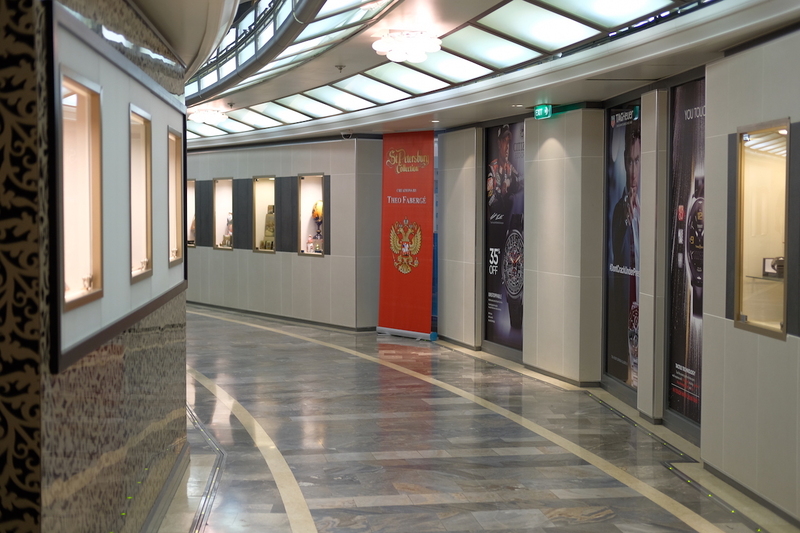 On board the Vision of the Seas, we began our 11N cruise through the Baltics and Russia. 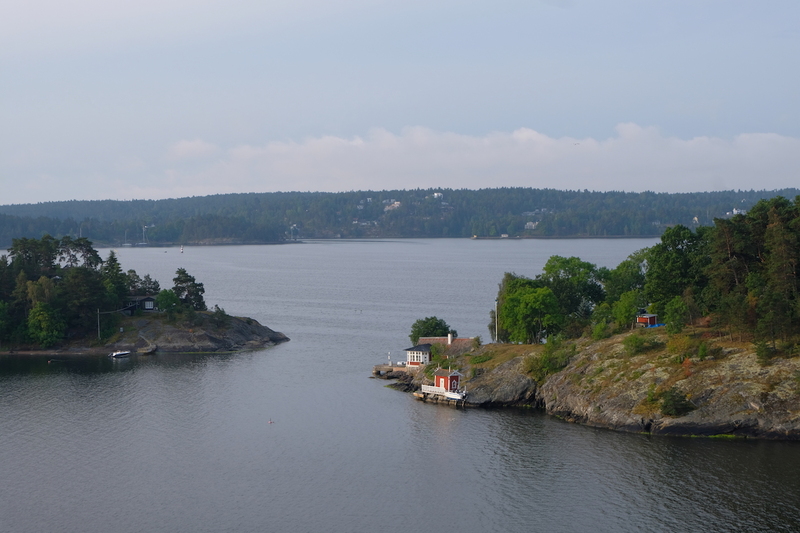 Prior to this and as mentioned in this post, Russia had been a long-time dream, which was the main reason why booked this cruise; and the fact that the Baltics and a part of Scandinavia were included in the itinerary was a great bonus! 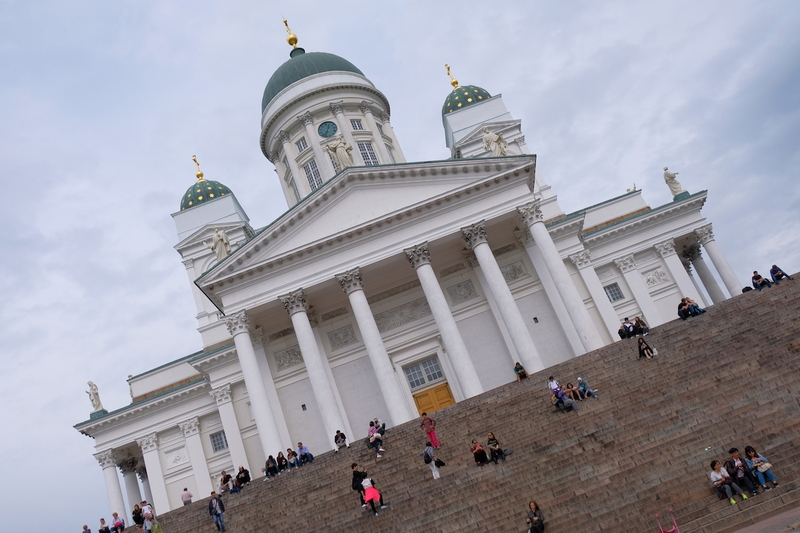 This 11N cruise itinerary gives you a taste of the Baltics, together with St. Petersburg, Helsinki, and Stockholm, which provides a fantastic option for anyone’s trip to Europe. 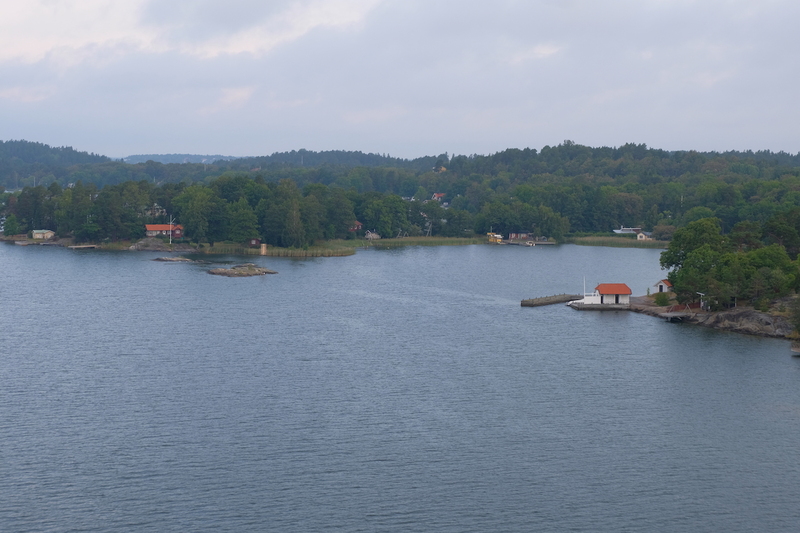 Initially, I had dreamt of visiting the Baltics by land, and after doing some research, found out we could go from one country to another via bus; but when this option presented itself, I thought it was a far better choice than choosing to plan the route by ourselves. 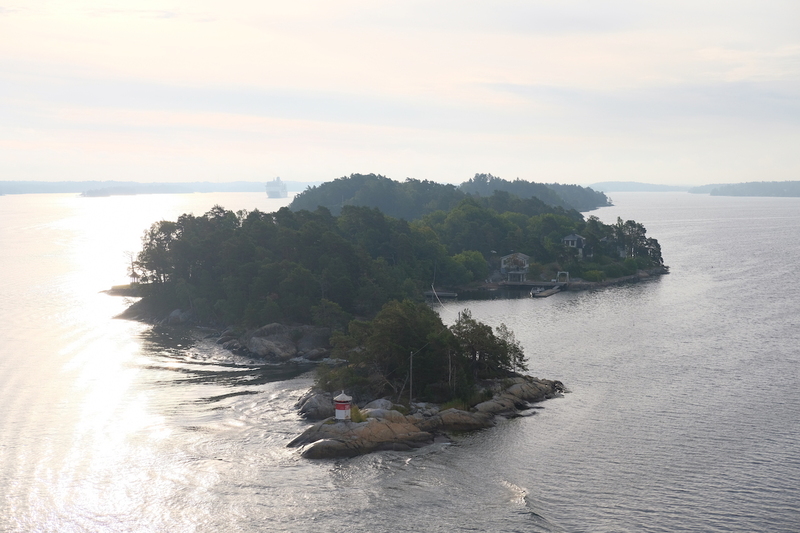 Besides, after our first cruise as noted in Royal Caribbean’s Serenade of the Seas – 7 Night Norwegian Fjords Cruise Review, we absolutely fell in love with cruising, so it didn’t take a whole lot to convince us to go and book this 11N Baltic Cruise. 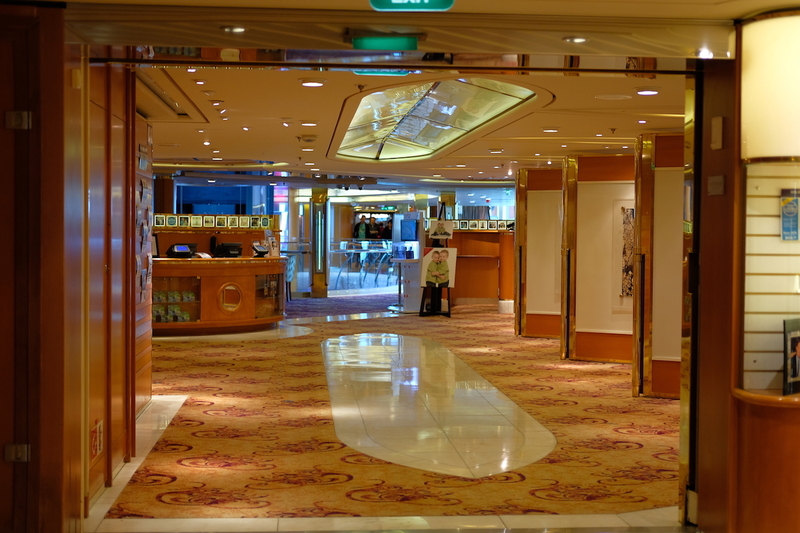 Compared to the Serenade of the Seas, the Vision is of a smaller class; but despite being inferior in size, it doesn’t sacrifice any of the necessary amenities and facilities. 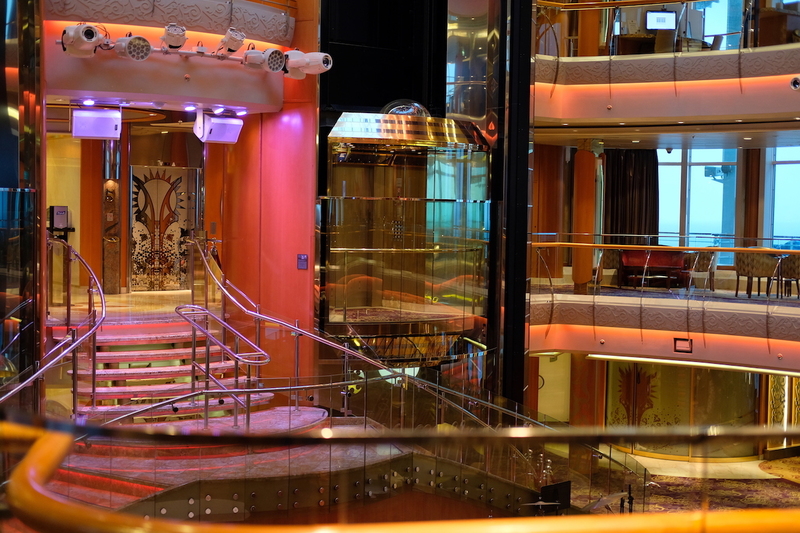 Still massive in my opinion, the Vision of the Seas remains to be my favorite home while at sea, which I’ll be expounding on later in this post. 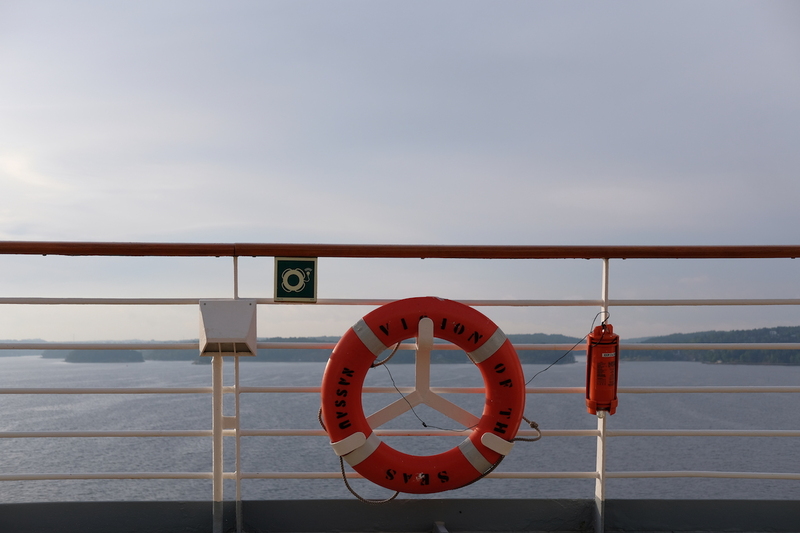 The complete amenities on board will prove of great use to all kinds of guests, and will leave anyone & everyone preoccupied throughout the whole trip, whether on cruising days or days when you’re docked at your Port of Call. Aside from having everything a guest would need, its gorgeous architecture makes it even better, as evident in the main lobby – the Centrum, pictured below. 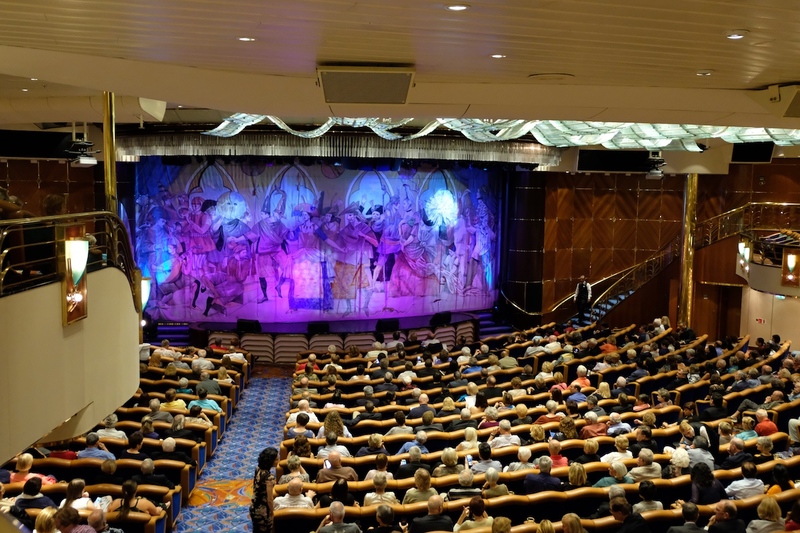 On the ship, you’ll find an outdoor & indoor pool, a retail area for shopping, a small gallery for paintings up for auction, a jogging track & gym, and the main theatre, which doubles as a cinema as well – needless to say, we had a fantastic time at sea, as we had a multitude of entertainment options and activities to choose from! 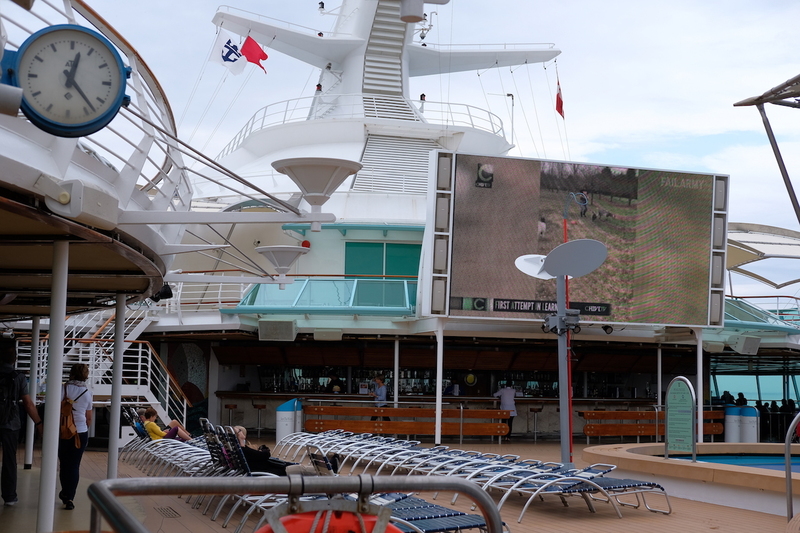 In one of my previous posts: First Time Cruisers: What You Need to Know, I lengthily covered the fact that food is free on most cruise lines – 24/7. 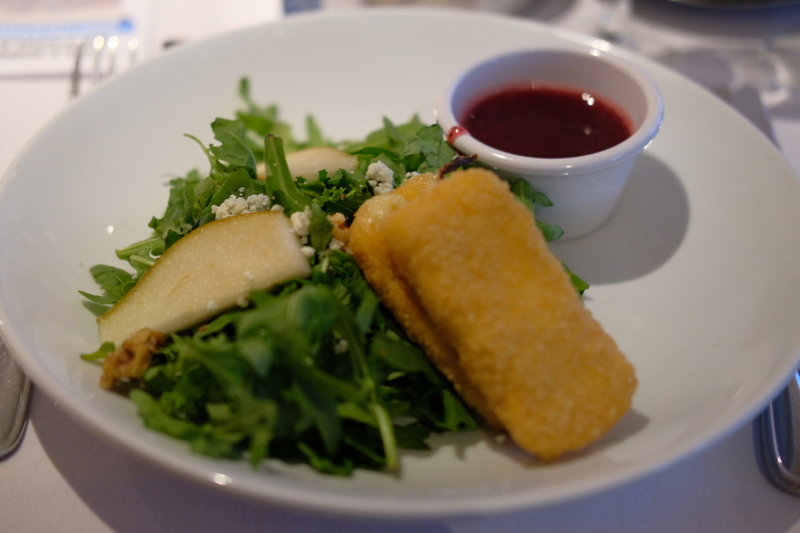 And it is no different on board the Vision, but let’s focus on the quality served, shall we? 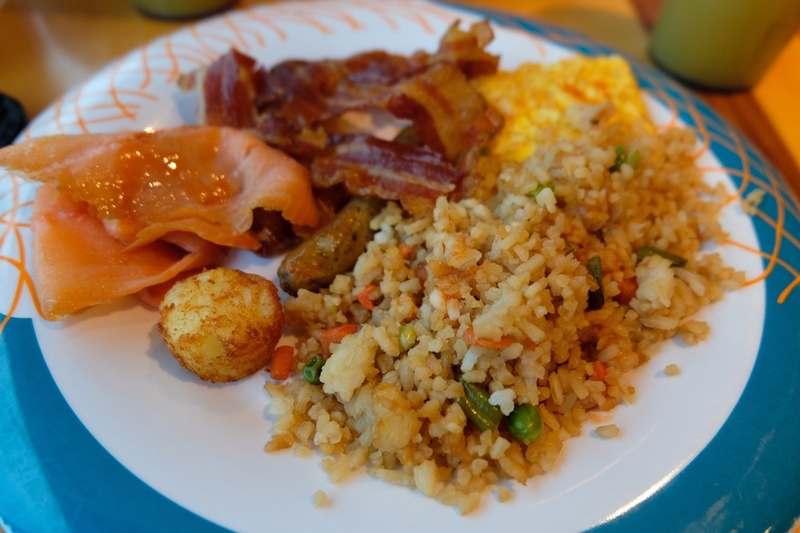 Beginning with the most important meal of the day, breakfast time for us was always spent at the Windjammer Cafe for their extensive and complete buffet. From fruits to meat, omelettes, dairy products, even a salad bar, cereals, and pastries: there’s a wide selection of morning fuel to choose from to get your day started. And of course, everything – everything we tried at least – was of great quality and will leave you looking forward to breakfast each day. This coming from someone who doesn’t look forward to having breakfast when I’m back home; but yes! 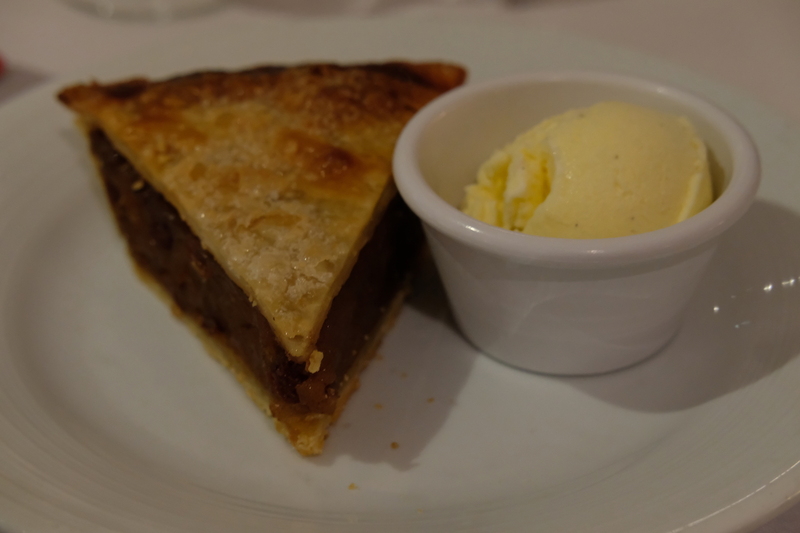 Food at the Windjammer Cafe is absolutely fantastic – better yet: the buffet is open three times a day for all meal times, unless otherwise announced. Depicted below is a compilation of my favorite dishes to get at the buffet – power breakfast, anyone? 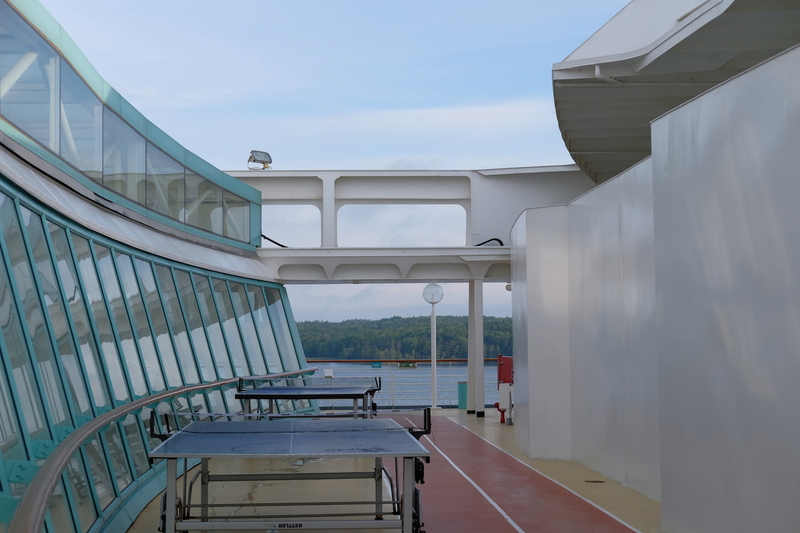 The Main Dining Room on board the Vision spans through two levels, offering a view of the sea. 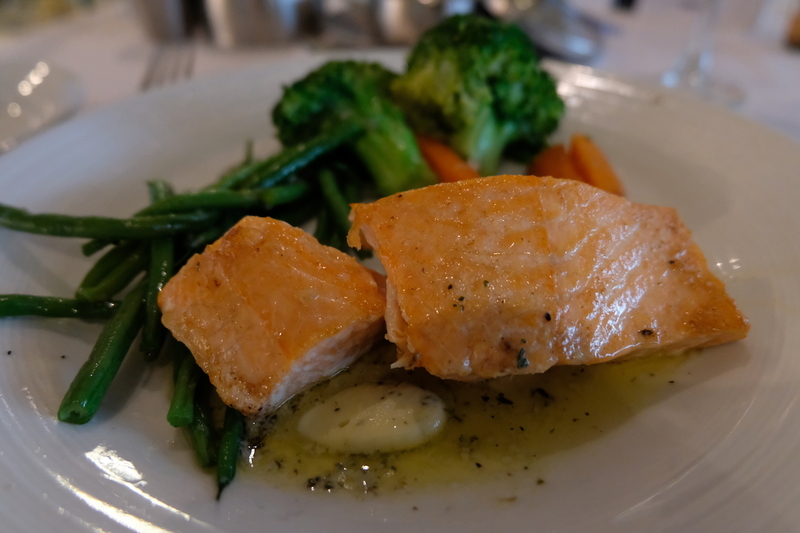 While Windjammer Cafe is also opening during Lunch & Dinner, we opted to veer away from the buffet and instead, have a sit-down menu at the Main Dining Room, where a three-course meal of your choice awaits. 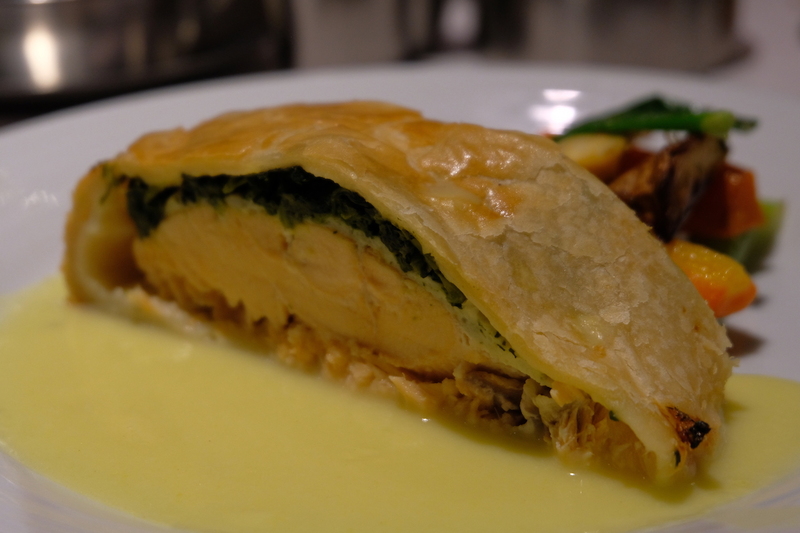 The menu changes everyday, but there are a few classics that you can still order daily; I would suggest you go with their specialties of the night, if offered. A few of my favorites each pictured below are the French Onion Soup, the Norwegian Salmon, Arugula Salad, Beef Wellington, and of course Apple Pie à la Mode for dessert. Since we never opt to splurge on restaurants onboard with an additional fee (except that one time on the Serenade when we were craving for sushi), as we’d rather shift the budget to alcohol (cocktails & champagne, of course), I can only speak for the quality of the complimentary food served on the Vision; and I have to reiterate that everything we tried was grade-A! Apart from Windjammer Cafe and the Main Dining Room, you can also partake of complimentary snacks via their 24/7 in-room dining or the Park Cafe, which is open till the wee hours of the morning. 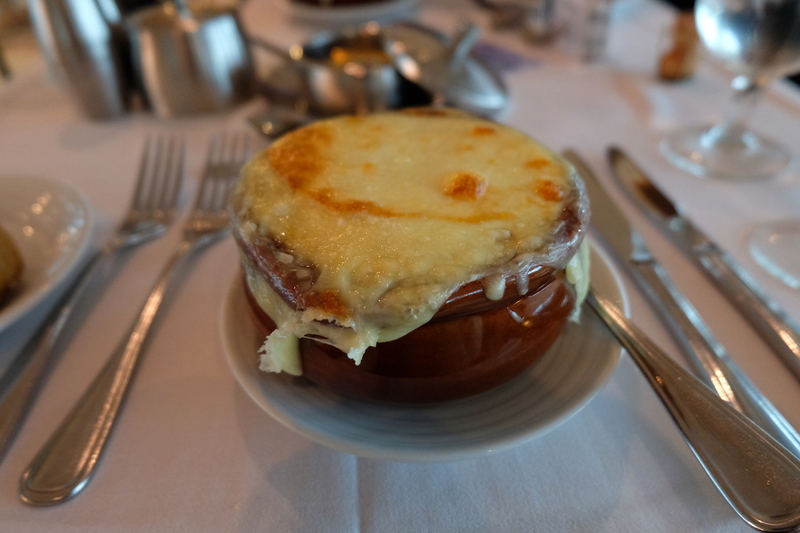 There’s a saying that if you go on a cruise, you’ll easily gain five pounds – surely, it’s an easy task whilst with Royal Caribbean, as the food they serve is hard to resist! 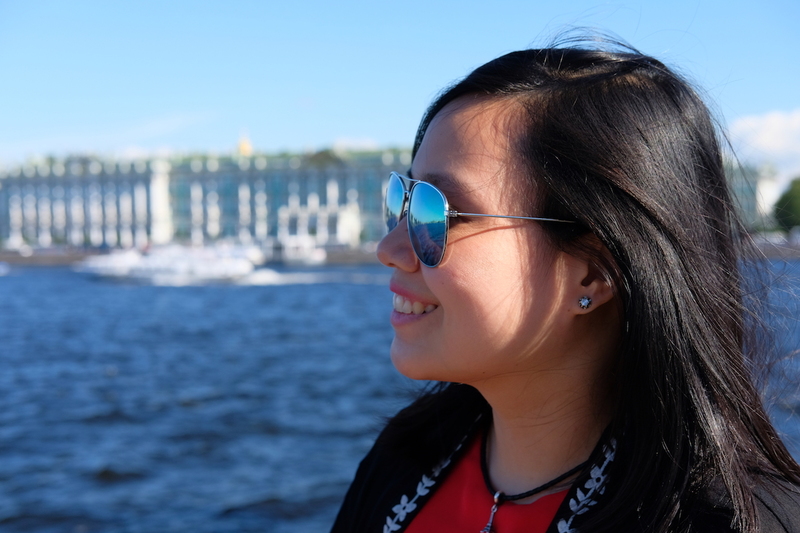 Just as we chose our 7N Norwegian Fjords Cruise for the majestic fjords, we chose this cruise mainly for the fact that it would take us to St. Petersburg, Russia without having to apply for a visa; the rest was initially just bonus countries I could scratch-off my list. 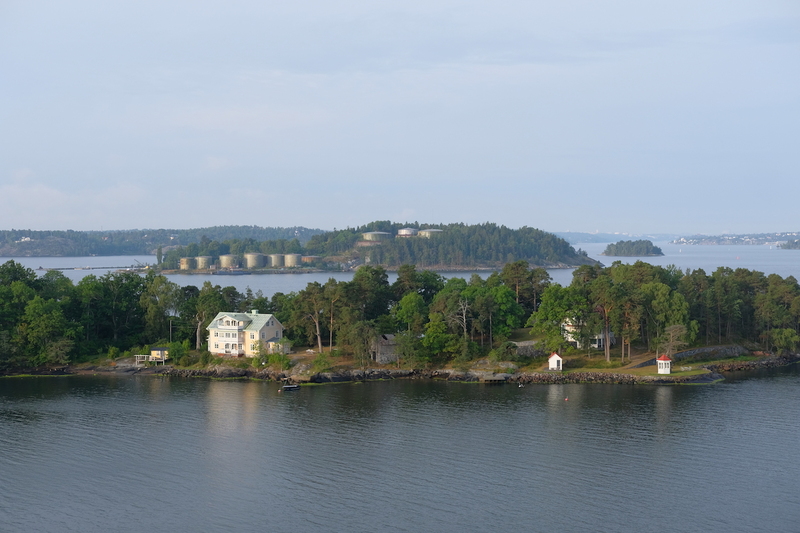 Unlike the Norwegian Fjords Cruise, which I would do time and time again, I believe that this itinerary, however, is great for a one-time trip. 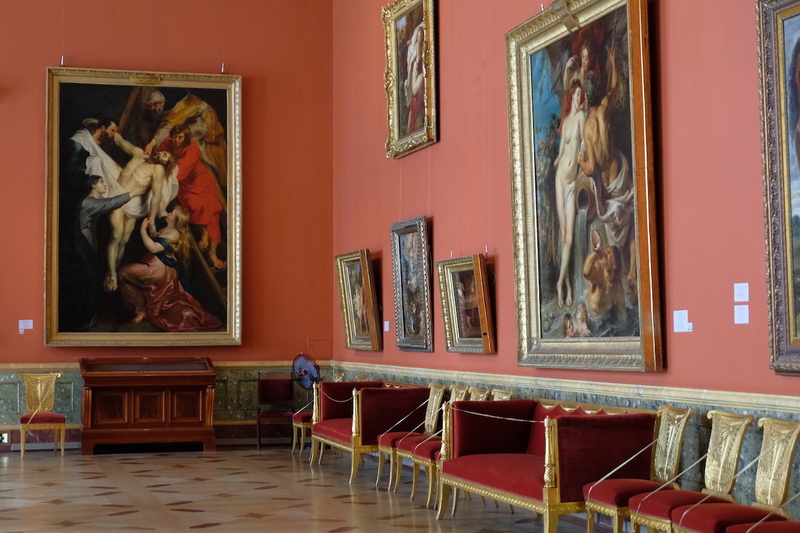 Don’t get me wrong though – I loved everything about the itinerary and enjoyed every bit of it; I just felt like we had gotten the most out of this route for one-day trips to each of the cities we visited, and would rather spend more than a day in the cities that stood out (like St. Petersburg) if we had the chance to go back. 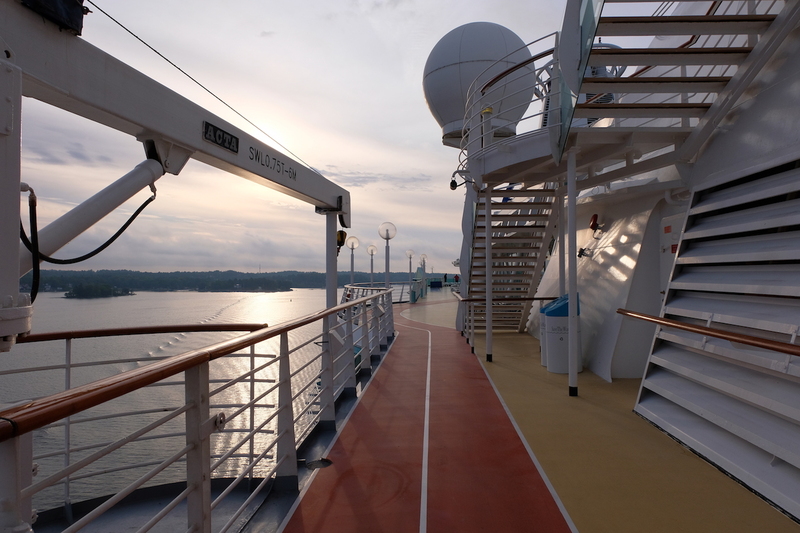 Cruising days pertain to the full days you spend at sea, and for this cruise itinerary, it incorporates two cruising days (three if you include departure & arrival days), which make for a good window of time, in my opinion, to fully-enjoy all the amenities and facilities offered on board. 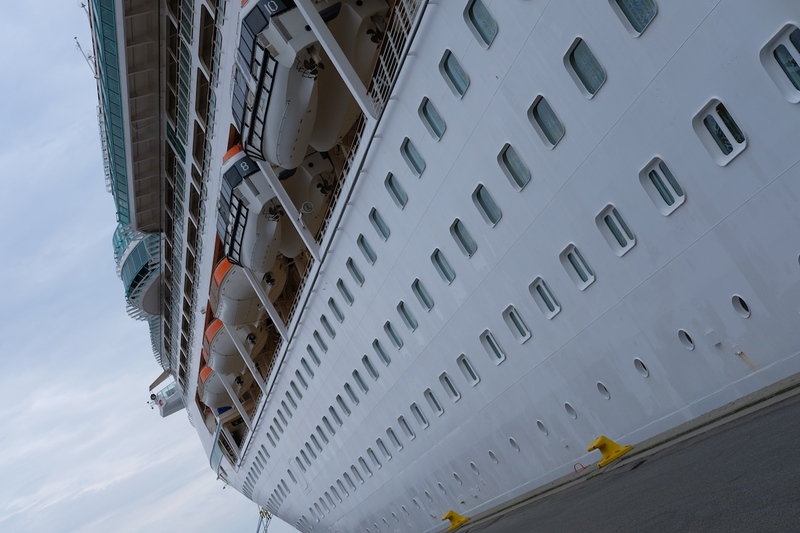 It’s important to make the most out of your accommodation, the entertainment, the activities, and service on board, which will surely complete your sea adventure. 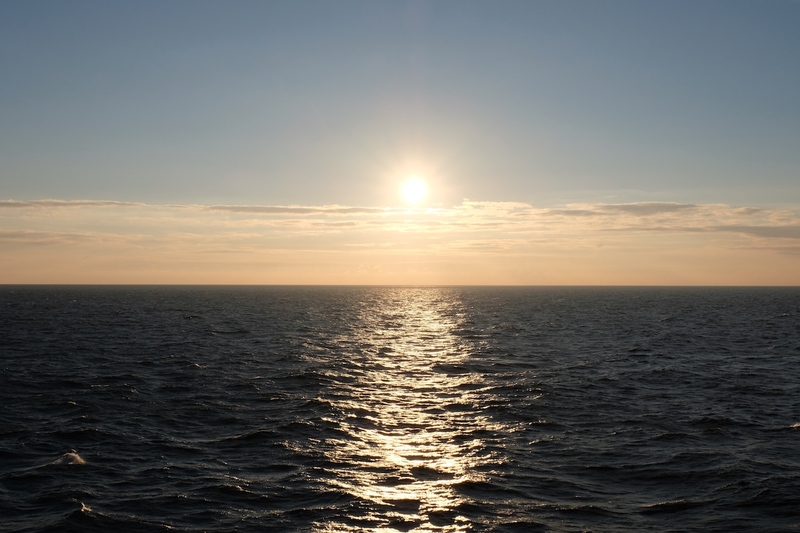 A tip, however, once you’ve departed from your Port of Call and the sun hadn’t set yet, I highly suggest you spend time admiring the sunset from one of the outdoor decks – a great experience you wouldn’t get on land. 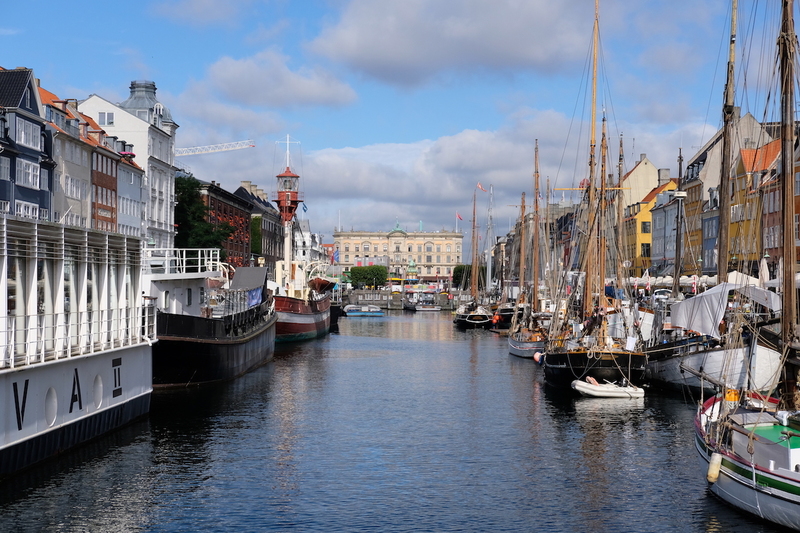 This cruise itinerary departs from and arrives at the same city: Copenhagen, Denmark. 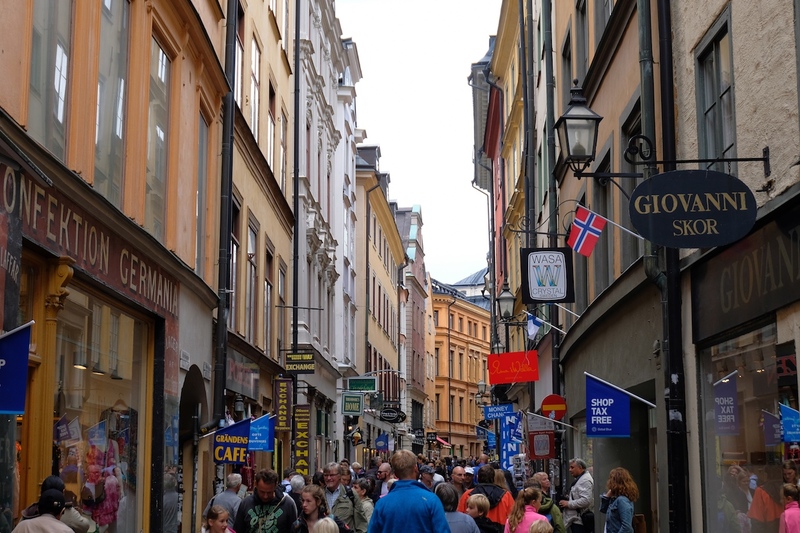 Saying this again might be overkill, but yes: it remains to be one of my favorite cities in the world, and one of the loveliest cities I’ve visited to date – with regards to its architecture, its people, its vibe – pretty much the city as a whole makes it worth visiting time and time again. 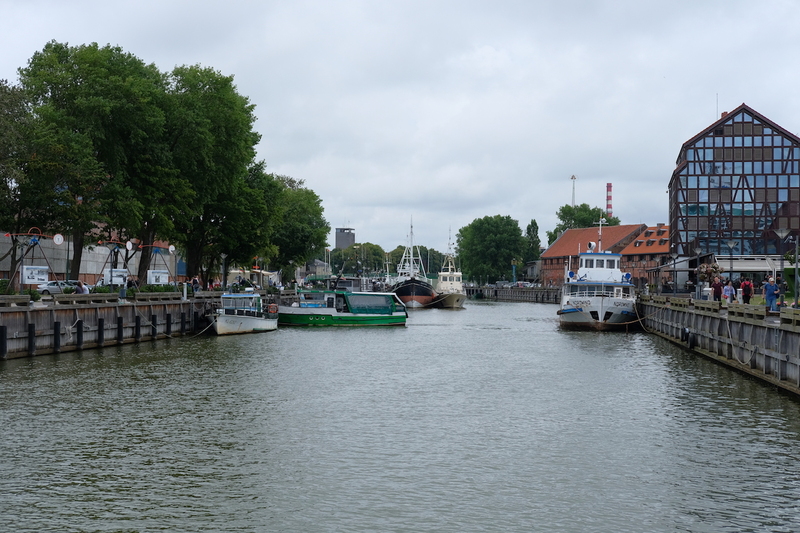 So when we chose this cruise itinerary, we were excited that we had the chance to visit the Danish capital for the third time within two years in a row. 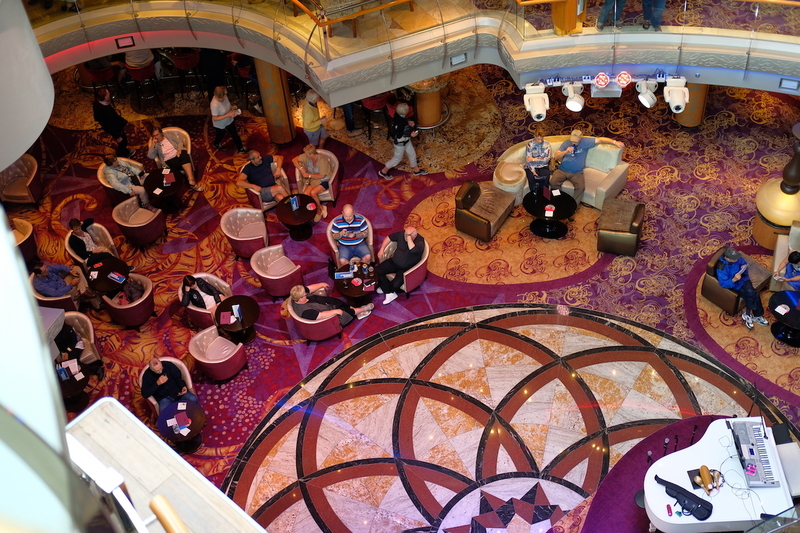 And again, the start of this cruise itinerary is a great way to preempt what the route holds for cruise passengers. 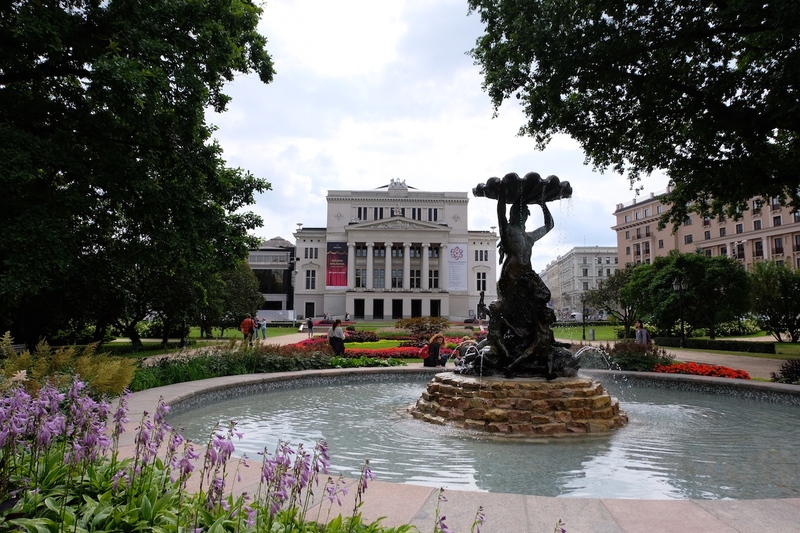 Each city is intertwined with its own character, and though at first – prior to your visit, you’ll hear that the Baltic countries look similar or the Scandinavian cities are alike, this itinerary will allow you, like it did for us, to see each city unfold into its own uniqueness, making it an extraordinary experiences for all travellers and tourists alike. 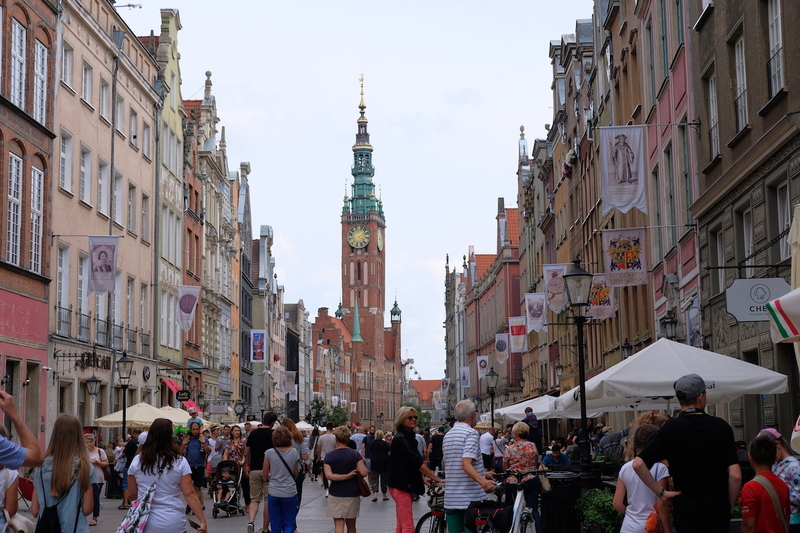 Note: It’s important to note that during this cruise, as you’ll read later in the posts, we opted to see all the cities, except for St. Petersburg and Gdansk, on our own; so if you’re looking to walk through the cruise stops on a do-it-yourself itinerary, then you’ll surely enjoy just like we did! Tips for your do-it-yourself day-tour in some of the posts below. 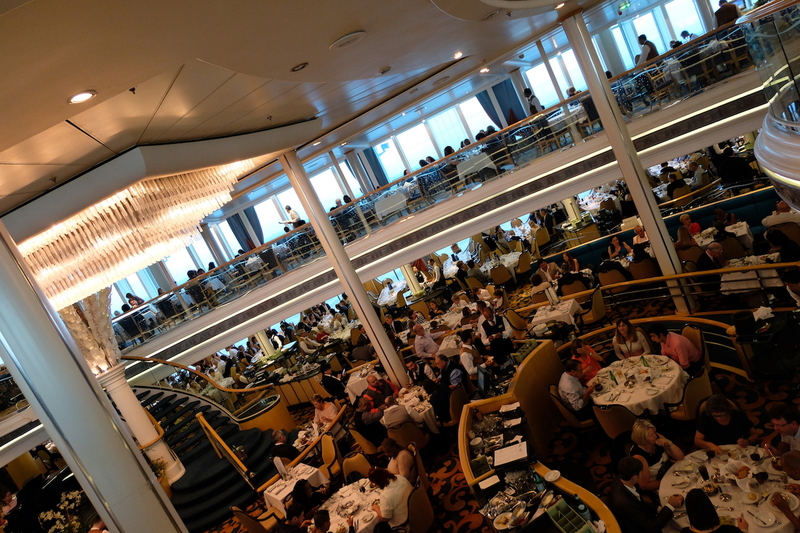 Mentioned far too many times, the service is always crucial to me, and after having gone on three cruises (though this one – the 11N Baltics Cruise was just the second), I’d have to say that Vision of the Seas has the best service we’ve experienced at sea to date. All this thanks to everyone on board: from the stateroom attendants, dining crew, security crew, and so on… but a special mention would have to be for Milan (from Montenegro) & Desmond (from India) in the Main Dining Room who made our stay extra-special thanks to their incredible hospitality and impeccable service. 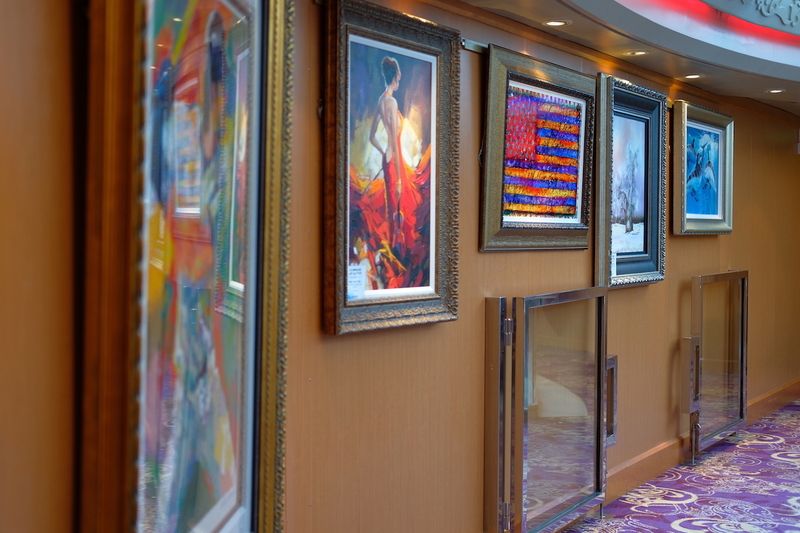 Due to the great service on board, the Vision remains to be my favorite home while at sea, and I surely look forward to the day we get to return and once again, see the friends we’ve made aboard this architectural beauty. 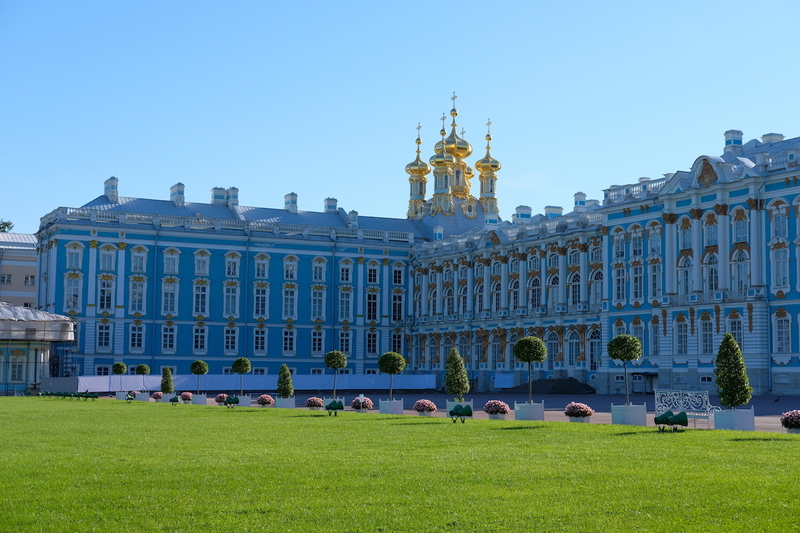 Despite being an itinerary filled with excitement and beautiful places to see, there is one Port of Call that stands out – St. Petersburg, Russia is surely the highlight of this cruise itinerary, but since we’ve covered that previously in Dreams Fulfilled: Two Days in St. Petersburg, Russia with Royal Caribbean – click the link if you have yet to read it – I’d have to focus on what the highlight of this cruise is while at sea. 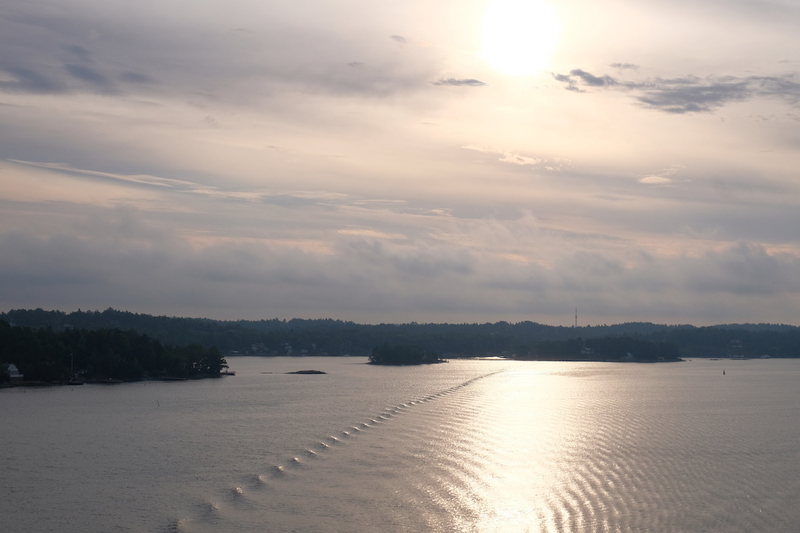 I highly-recommend that you get up early on the day you’re scheduled to arrive in Stockholm, a few minutes before the sun is scheduled to rise. 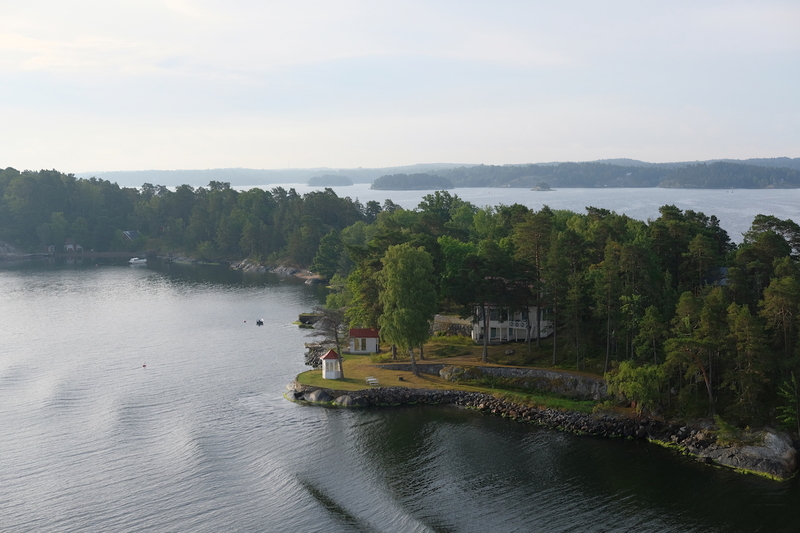 As we were there in summer, we got up as early as five in the morning, and were graced by the sun rising over the Stockholm archipelago. 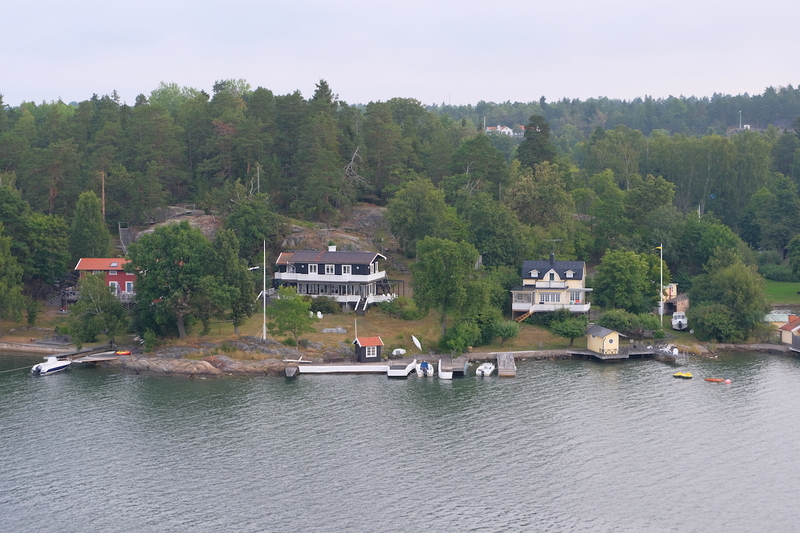 The Stockholm archipelago is home to nearly 30,000 islands, islets and rocks, which we got a marvelous panoramic view of as we headed up on deck. 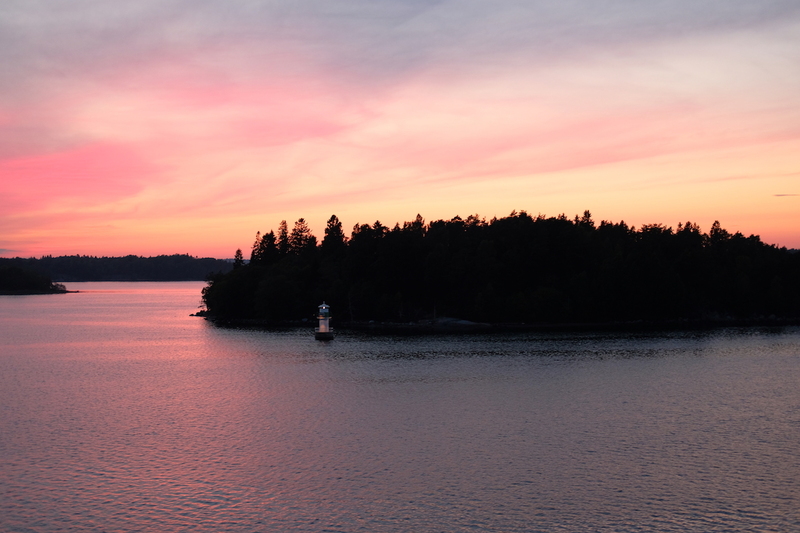 Cruising out of Stockholm graced us with the same breathtaking view, and this time: with the sunset as its backdrop. 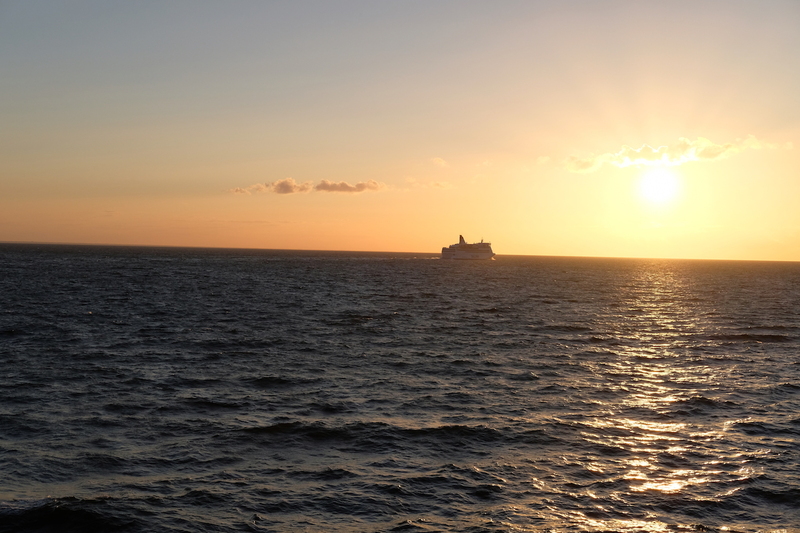 This experience was simply magical, as it served to be the highlight (at sea) of the trip. 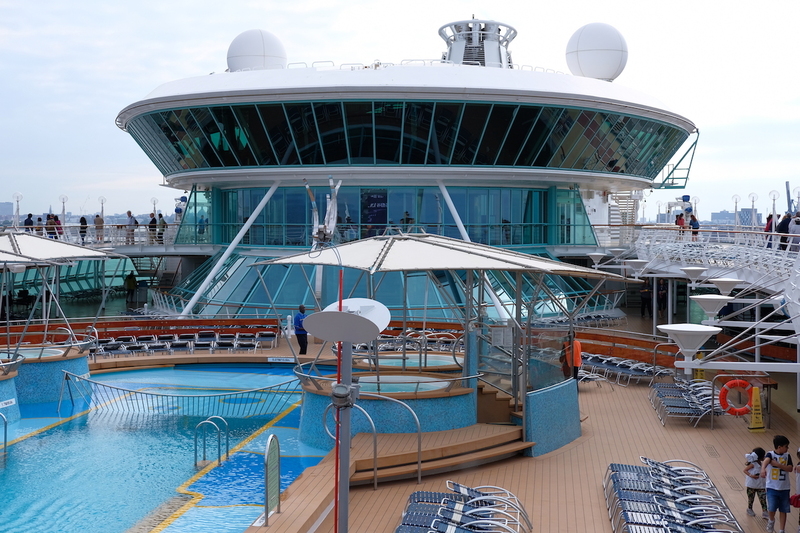 Royal Caribbean’s 11N Baltic Cruise is definitely a cruise itinerary I would highly-recommended to anyone, as it will serve to be a trip of a lifetime, like it was for us. 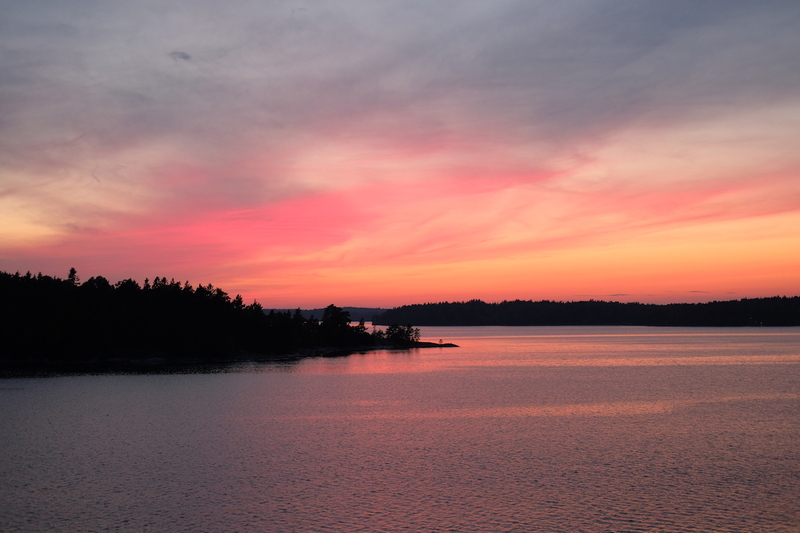 A taste of the Baltics, the grandeur of Russia, the serenity of Scandinavia, and the history of Poland – all this you’ll get to experience in less than two weeks. 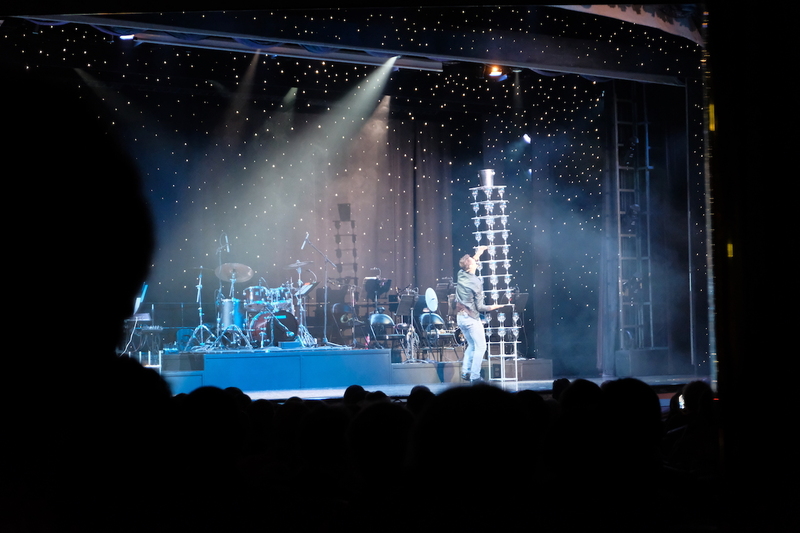 And even better – you’ll enjoy everything the Vision of the Seas has to offer throughout this sea adventure that you’ll surely remember for the rest of your years.